You hear the call of battle and, dressed in the John Riveted Aluminum Chainmail Hauberk, you are ready to fight for your victory. 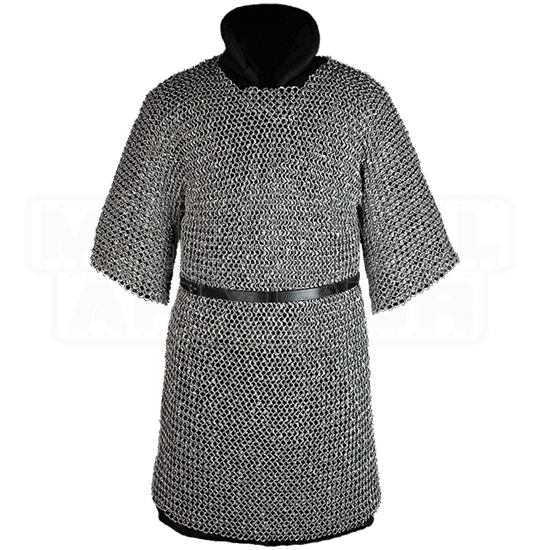 Each aluminum ring of this handmade chainmail tunic is fully riveted for durability during movement, woven in a traditional 4-in-1 pattern. The short sleeves of the aluminum hauberk fall about two-thirds down the arms, and the length reaches mid-thigh on most wearers. Add a belt at the waist to help distribute its weight. 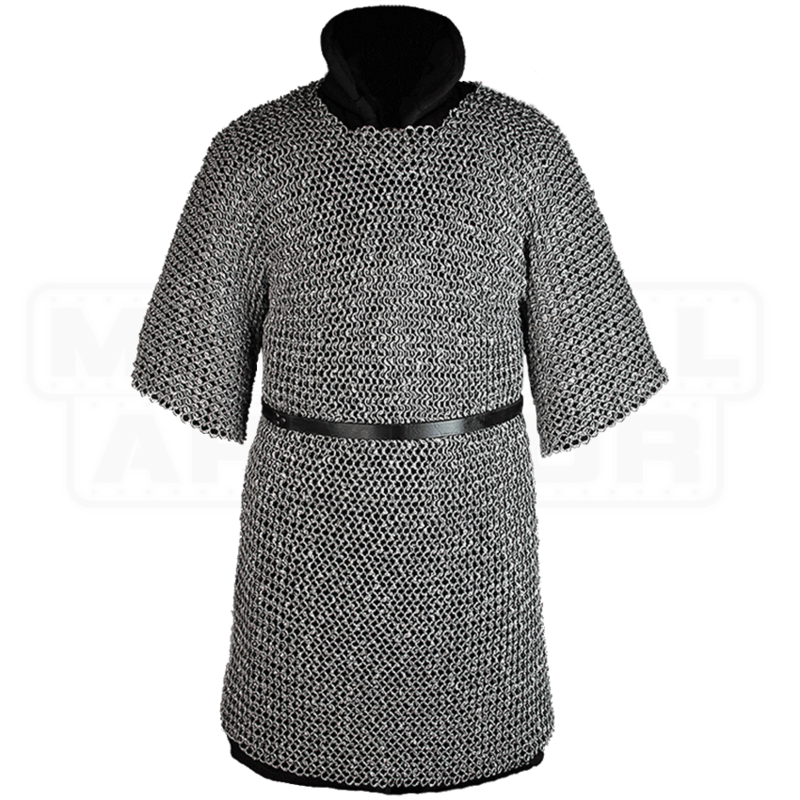 Ideal for LARP and costume looks, this chainmail armour piece is even riveted under the arms for superior sturdiness, and its aluminum construction will not rust. A great way to add comprehension and interest to your medieval knight outfit or other historical and fantasy warrior looks as well as protection for LARP events, this riveted hauberk is most comfortable and safe when worn over a padded gambeson, as shown.